How does UbiBot ® work? UbiBot ® offers a revolutionary way to monitor environmental conditions where they matter. The sensors synchronise with our UbiBot ® IoT Platform using WiFi (no expensive separate hub). You can then access your data from anywhere via smartphone or the web. This WiFi enabled device continually monitors temperature, humidity and more. The WS1 will give you insights into conditions in your home, office or factory. This advanced device is packed with sensors and features a large LCD screen. 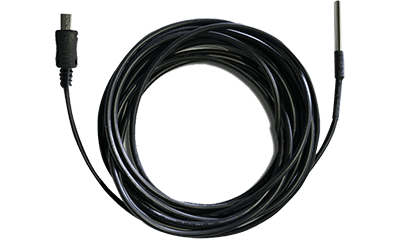 Mobile data and WiFi connectivity allow you to use it anywhere with a mobile signal. 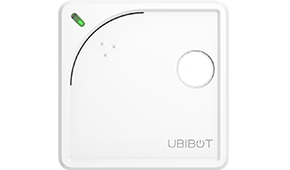 The IoT platform can be accessed from anywhere using the UbiBot ® smartphone App, or via the web. It automates data storage and analysis and allows you to set real-time alerts. Ubibot works with IFTTT(if this then that), giving you an array of possibilities in monitoring your environments. By signing in the IFTTT account, you can trigger millions of different IFTTT events, such as turn on the hue light when UbiBot sensing light falls below 40lux. Integration with IFTTT makes your smart devices talk to each other without your manual operations. Like a good night's sleep? Choose the times an alert is active so you aren't disturbed. 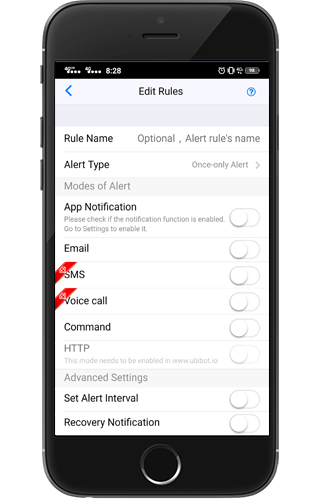 UbiBot ® offers multiple channels to receive alerts. From email and voice to in-app notifications and SMS messages. Our alert service monitors your devices remotely. Receive alerts if any metric goes outside the range you set. We alert you as soon as any device goes offline. Remember that our devices still record data when offline, so you won't lose any readings. Share your devices with colleagues, friends or family. Let others help monitor what's happening. Use the App to view the real-time conditions. Choose who to share the measurements with. When sharing your device with another person you can also choose to add them to any alerts you have set up. Ideal for on-call team members. The UbiBot ® App gives you a single place to manage data sharing and gives you a view of who previously had access to the data. Our clients are mainly from greenhouse growing, warehouse & cold chain, pharmaceutical storage, IT industry, production companies and museums. 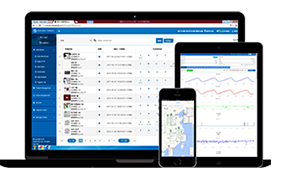 UbiBot is dedicated in providing satisfied solutions to our customers with wireless environmental monitoring of temperature, humidity, ambient light and many other metrics. 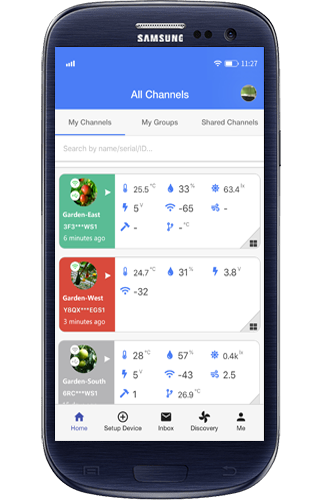 UbiBot ® gives you confidence that your plants are thriving by providing wireless real-time temperature, humidity and light data. Maintaining the correct temperature is vital for breeding livestock. UbiBot ® allows you to monitor this in real-time from anywhere in the world. Your baby means the world to you! Because you can check it from anywhere, the UbiBot ® WiFi sensor can give you peace of mind that the temperature and humidity in your baby’s room is comfortable. UbiBot ® provides you with real-time wireless monitoring of storage conditions in your warehouse. Monitor conditions remotely, or out of hours, and give yourself peace of mind that all’s well. Wine has to be stored in perfect conditions. Use UbiBot ® wireless sensors to monitor conditions from anywhere in the world. UbiBot’s 24/7 temperature monitoring and advanced real-time alerts can warn you about problems in your server room before they become critical. Many drugs have critical temperature control requirements. 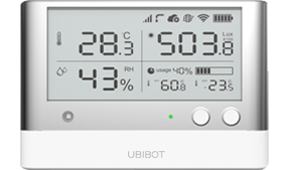 Easily monitor the temperature of your storage online using UbiBot®.